The peaceful town of Roberts and its 387 residents are located on Il. Route 54 approximately 40 miles southwest of Kankakee. This places Roberts in northern Ford County. The Illinois Central Gulf Railroad runs through the center of the town. 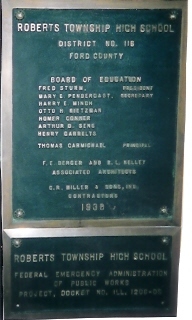 Roberts maintained its own high school through the 1948-49 school year. 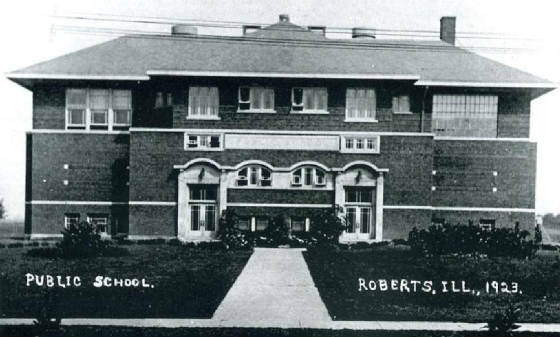 It is not known when the school system in Roberts was started. However, after the 1949 school year ended, the people of Roberts voted to consolidate their school system with its Route 54 neighbor to the northeast, Thawville. The Roberts-Thawville School District (also on this site) was born in the 1949-50 school year and served the towns proudly through the 1973-74 school year. At that time, the Roberts-Thawville High School was deactivated and at first became part of the Ford Central School District in nearby Piper City (also since deactivated). Since then the towns of Roberts and Thawville have parted ways. The children of Roberts now attend nearby Paxton-Buckley-Loda School District. The high school building of Roberts no longer serves as a school. 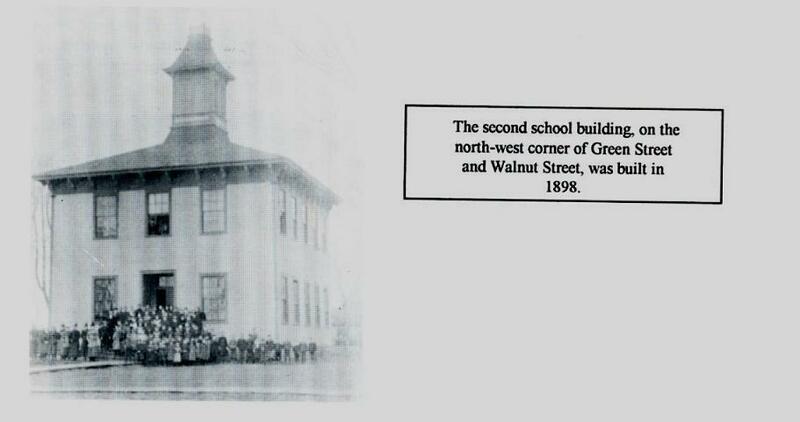 The actual school part of the building was torn down in the 1980s. The gymnasium was saved and restored by the townspeople. It now serves as a banquet hall for parties and dances. It is also used as an open gym on Sunday nights and a place for walking excercise during the week. The building was given a nice facelift with a new scoreboard, new roof, and air conditioning. Kudos to the Roberts citizens for taking care of a historical and useful building. The Paxton School in fact still uses the gym for freshman practices and some freshman basketball games. 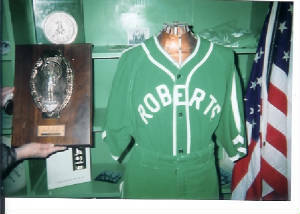 Roberts HS nickname: "the Bobcats"
Roberts High School definitely offered basketball during its time. The boys teams of 1931 and 1946 won IHSA District Championships. Unfortunately, we were unable to find accomplishments in any other sports that may have been offered by the school. We are assuming that track and baseball may have been offered to the boys and possibly cheerleading to the girls. If you have any further information regarding the athletic programs at Roberts High School, please follow the directions listed below. Several scores involving Roberts High School were located on a website titled "Illinois Postseason Basketball Scores." These scores as well as information on a few of the seasons are listed below. 1922-23 through 1927-28 Postseason scores, records, and coaches' names needed. **Final season and final game for Roberts High School. Consolidated with Thawville in the summer of 1949 to form Roberts-Thawville High School. A very special thank you to Juanita Fritchley who took the time out of her day to allow us to photograph and literally live a piece of Roberts' storied history. Her "helping hands" (see the plaque photo above) was a real treasure. Thank you Juanita and great job to the Roberts townspeople in keeping your gymnasium in such excellent and useful condition! !